Found this still surviving inside St. Peter's Cemetery in London Road. The building and grounds are marked on map as the Convent of the Good Shepherd and school. This building would appear to be part of the school, hearer London Rd., with a further building towards the rear of the cemetery presumably part of the Convent. (Thanks to browning, later in thread). Unfortunately, a few quick web searches didn't dredge up anything local, but many elsewhere. Afraid this is the only 'safe' angle (behind a tree) to grab a pic (given the other thread about pics in council places) as the cemetery office and keepers look directly on to the front of the building. All looks in good condition, if closed, as the door is secure and the lower windows are screened internally. Last edited by Apollo on Wed Feb 16, 2005 8:25 pm, edited 3 times in total. People live there Apollo, mostly migrant workers, generally domestic sraff for the hotel industry (Premier Travel Inn at Charing X specifically). It used to be a school. My internet research on the Dalbeth area (and the cemeteries in particular) shows it as a school on old maps. I presumed it was part of the Dalbeth Convent buildings. The ( much altered ) original convent building stands about 150yds south of this building and nowadays it would appear to be some kind of council "hostel" or other. No disrespect intended to the residents whoever they may be! Lots of "ned-like" litter now surrounds the convent building and it doesn't look very pretty. 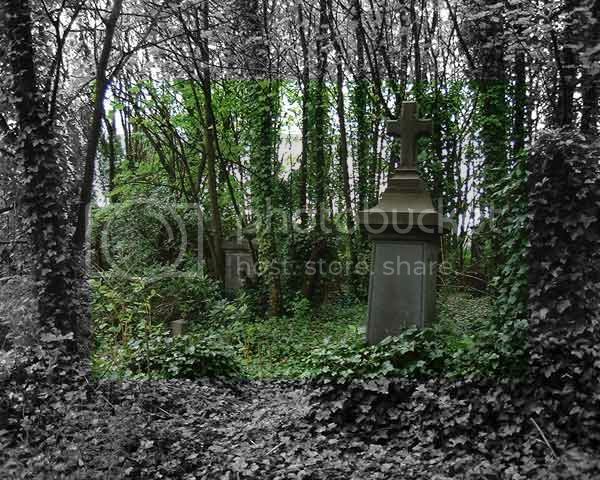 On a geographically related topic I think it's an absolute disgrace that the very old walled-in cemetery that lies about 100yds east of your photo has been allowed to become 98% overgrown. It contains the war grave of a WW1 sailor. About 2 years ago I complained to the Commonwealth War Graves Commission about the war grave in particular as well as the overall condition of the cemetery. They quickly responded and cleared the overgrown war grave and laid a gravel surface and edging around it. It's now relatively weed-free. It is visible from the west wall about half way down its length about 10yds in from the wall. Sadly, not even the influence of the CWGC was able to make whoever is responsible for the cemetery clean it up. They told me that they did try, but to no avail. I know that ultimately all cemeteries are supposed to "return to nature" but with a WW1 war grave within this one it it seems to me to be altogether far too early for that. Not to mention the other "residents" in the place! There may be other graves within it with even later burials although so many of the headstones are overgrown or weathered that details are difficult to make out. At this time of year with the undergrowth in winter remission you can usually see much more. You can access the cemetery, but only by clambering over the wall or at a couple of places where the wall has partially collapsed. The actual entrance gate is locked and looks to have been so for many years. A house lies at the north end and is fully occupied. Sadly the "ned-like" litter problem prevails within the cemetery. I hope this is of interest...particularly to whoever it is that is responsible for that cemetery. I spotted the old cemetery through the London Rd. gate but as noted, bar climbing walls, there was no obvious way in. Plus I'd only dropped in while passing for a pic of the caravan sign while there was still some left. I didn't pay much attention to the Convent building, I'd taken it to be the main offices etc. for the cemetery as there were skips loaded with waste from the grounds nearby and tracks leading to a closed metal gate at it's side. It featured in an Evening Times story a few days ago, where an individual got caught billing the Archdiocese for over £110 k for graveyard maintenance, only he hadn't done it, other comapnies had. Hello Browning, tis true about the old part of St.Peters graveyard. HG had a tour here last year and the upkeep of the old part I think had been forgotten apart from the grave you had mentioned. Well worth a visit for anyone. Does anyone know what is happening in the adjacent site to the east of the graveyard? When I was there the other day, the site had been opened for access with road signs etc. There was almost a dozen test bore machines drilling away, and there was some sort of small processing facility buried away in the back corner of the plot. Other than site warning signs and the contractors adverts, there were no signs indicating what was happening on the site. The cemetery is on London Rd, which you can see shooting off west and north from the roundabout at the Fullarton Rd junction that marks the current M74 end, 0.7 mile short of it. Fortunately the M74 extension heads west and south, over the Auchenshuggle Bridge (that'll be good for giving English visitors directions). Have to say thanks for the links, they led to suberb (i.e.) decent res aerial photos of the area, great for Belvidere and the sport ground in the area. You never know what you're going to come across. I did wander around the Polish section of the cemetery, as mentioned in viceroy's post, and was going through some old newspaper clippings at home and found one from April 1944 that ties in with earlier post in here too. Entitled "They look like schoolboys", it described the Polish Education Centre at Dalbeth Convent, London Road. The students were young boys in battle dress, some in Air Force blue, and all with "Poland"on shoulder flashes, with six months special leave from the Polish Army, Navy or Air Force to complete studies for their school leaving certificate, provided their leave was not cancelled and they were recalled to their units. One 16 year old had been arrested when the Russians invaded Poland, and sentenced to eight years in prison for tearing down a Russian propaganda poster. When Germany attacked Russia, Finnish planes had bombed his prison, and the prisoners had to walk 500 miles in 19 days to their new prison. This was in a freezing region of Russia, yet they slept only in tents and had only a tunic or blouse, trousers and home made slippers to wear. After the Polish-Russian agreement, he joined the Polish Army and arrived in Britain via Persia. A 17 year old spoke of his capture from the Air Force and being forced to work in a Berlin factory, part of which was secret, and none of the 700 Poles or 2,300 Czechs were allowed underground to work in. They constantly sabotaged the machinery, and when this happened in an area he held the keys for, the Gestapo seized him and beat him senseless. He later escaped to Italy, travelling through Spain, Lisbon and Gibraltar to arrive in Britain. Another described 1940, when he was arrested on suspicion of involvement with the Polish underground. After being confined in solitary, and days of questioning, he was condemned to death for denying his involvement. To scare him into confessing, a shot was discharged next to his head. Although he still didn't confess, he and a friend decided they would confess to stop the investigation, in case it led to others being traced. After the trial, he was sentenced to a total of 15 years, to include 5 years in a concentration camp. He was deported to Russia, and also arrived in Britain after the Polish Russian agreement. The teachers were also Polish, and had their own tales of escape. One showed the marks of the frostbite he suffered while imprisoned in Siberia, and another had been sentenced to 25 years hard labour, for giving two fellow Polish prisoners lessons in Polish history. So, what were you doing when you were 16-17? I am new here but have been browsing this site for a long time. I decided to join when I read this thread, as I have a relative who was buried at St Peter's (Dalbeth Cemetery) in 1855. As I have lived in Australia for most of my life (born in Glasgow) I had someone look around for his resting place a while back, but the kind person who did this for me couldn't find it. Now I know why. It's such a shame that it has just been left to the wilderness, even though it is behind a locked gate and probably still owned by the Catholic church. You would think there would be some respect for these old graveyards, but sadly this just doesn't seem to be the case. And of course the graves don't even have to be old for them to be vandalised. My granny was buried in the 80's in St Kentigern's and there is no longer a sign of her headstone. Oh well, what can you do eh? On another note, I know that Glasgow Airport was built over an old cemetery and apparently some of the grave markers are still there at the far end of one of the runways. Anyone know about that? Give as much detail as possible about your relatives death date of funeral if you have it . If they still have the lair book they can give you the plot number which makes it easier to find the grave. The information in the lair book is useful if you are interested in family history. The Mitchell Library also hold the daily burial records for St. Peters cemetery on Micro Film in the Gllasgow Room. Thank you Margaret and John! I did contact the Mitchell quite some time ago but recieved no reply. My guess is that they have some sort of policy which prevents them from searching too much for people. I would love to visit Glasgow again one day to go to the Mitchell and browse their collections. And see about a million other things I missed last time I was in Glasgow. It's worth persisting. It is, after all, their job.